If you’re one of the generation of safety managers and osh professionals raised on ‘Successful Health and Safety Management’ (HSG65) and its POPIMAR model then the HSE’s recent changes may feel daunting. If so, hopefully this post – in which I’ll briefly talk you through the changes – will help set your mind at ease. Firstly, what’s happened to HSG65? Originally published more than 20 years ago, the original HSG65 was a 100+ page manual which used the POPIMAR model to detail the systems and processes needed for ‘Successful Health and Safety Management’ (the publication’s title). As of this month, HSG65 refers to new HSE guidance entitled Managing for safety and health, which sees POPIMAR replaced by a new PDCA model. Not yet available as a hard copy, this guidance is hosted on a microsite. The new online health and safety guidance is intended to make it easier for larger organisations and business leaders to understand the actions they need to take to comply with regulations. It simplifies key concepts and focuses more strongly on issues such as senior management leadership, workforce involvement and occupational health. One of the most significant changes is the move from POPIMAR to the ‘Plan, Do, Check, Act’ (PDCA) framework – more on this later – which is designed to achieve a better balance between the systems and the behavioural aspects of management. The fact that the PDCA model is commonly referenced in ISO management standards also helps reaffirm that managing for health and safety is integral to running a business, and not a stand-alone add-on. 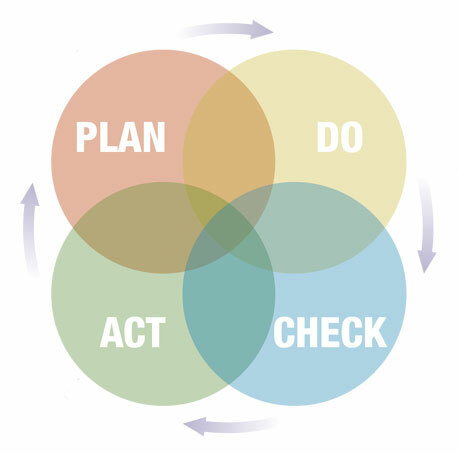 What does the PDCA model include? This part of Managing for safety and health is concerned with delivery so is likely to be of most interest to health and safety professionals. It does this by taking the Plan, Do, Check, Act framework, identifying the key actions needed in each part of that cycle and relating them back to leadership, management, worker involvement and competence. The PDCA framework is cyclical and is designed to be repeated, particularly if you’re just starting out or have made any significant changes to what you do and how you do it. Determining your policy – Writing a health and safety policy gives you chance to set down your strategy for managing safety. You need to decide what you’re going to do, who’s going to do it and how. RoSPA’s policy and procedure review service may be of interest here. Planning for implementation – Here’s where you identify and seek to control risks. You should include health risks, consider compliance with health and safety legislation and involve people, for example safety reps, from throughout the organisation. You should also consider the need to link how you manage safety to how you manage other business areas. Key actions include – The HSE have a full list of actions, which includes making a statement of intention; setting out clear roles and responsibilities; outlining how things will be done and allocating resources accordingly; conducting the necessary health and safety training; prioritising actions; considering contractors and discussing and communicating plans. Profiling your organisation’s health and safety risks – Yes this includes risk assessments and yes the importance of getting these right cannot be overstated. 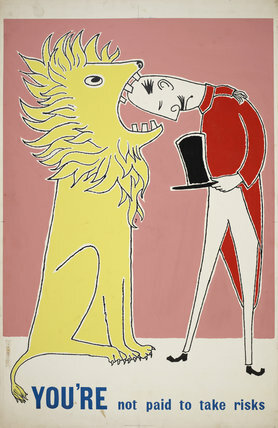 Vintage RoSPA ‘risk control’ poster. Organising for health and safety – You need to involve workers and communicate clearly as well as provide adequate resources and competent advice. Implementing your plan – Deciding on risk control measures and putting them in place; providing tools and equipment and maintaining them; and ensuring everyone is competent to carry out their tasks. Measuring performance – Safety audits can be useful at this stage as you need to check that your plans are being implemented, risks are being controlled and that you’re achieving your aims. The acclaimed RoSPA Awards process is an excellent way of reviewing the progress you’ve made – and being rewarded for it too! Investigating accidents and incidents – An essential part of the monitoring process, without which you won’t know if your risk control measures are actually working. Don’t forget that near misses also provide valuable learning opportunities and shouldn’t be overlooked. A thorough accident investigation (either carried out by your own internal accident team, or by an external consultant) will help you correct any safety omissions; demonstrate your commitment to safety to a court and provide essential information to your insurers. 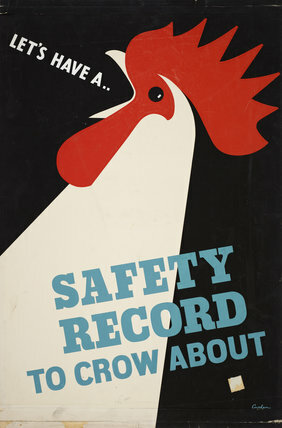 Vintage RoSPA poster promoting the benefits of a good safety record. Review performance – Remember, the PDCA model is cyclical and it is at this stage that you should learn from accidents, errors, experience and other organisations so that you can revisit your plans, policies and risk assessments and update where necessary. Learn lessons and take action accordingly – Look for common factors when things go wrong, including human factors, and opportunities for organisational learning. I hope that this summary has made the changes clearer but if you have any questions please let me know. Likewise, having sought to influence the development of this guidance I’m now interested to hear your responses. I have found this post very informative. I have enjoyed reading through. can you also enlighten about some of the most common performance measurement parameters that can be used to measure health and safety performance in an organization.